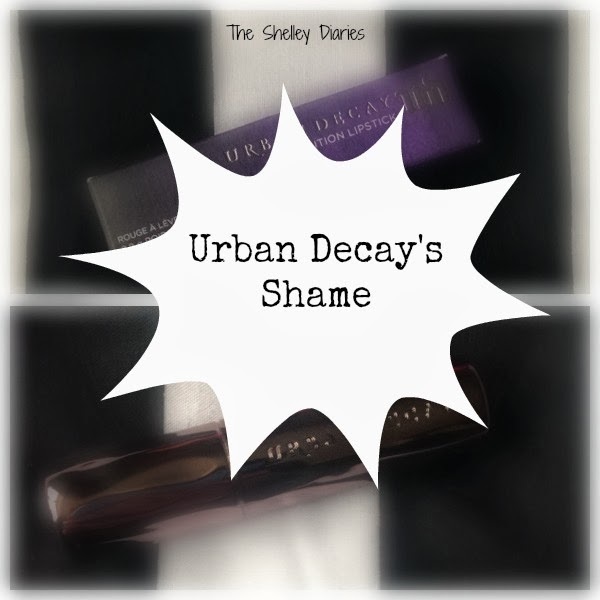 After a three month wait, the Urban Decay Revolution Lipstick in Shame is finally mine! I have been on the waiting list for this shade, since before Christmas and I was stupidly excited when I got the voice mail saying it was back in stock. The second I got home from House of Fraser, I ran upstairs and opened up the packaging, which I love by the way. Everything screams high end, from the expensive feeling cardboard tube, right down to the weighty feel of the lipstick itself. The bullet is a gorgeous silver chrome, that has waves running from top to bottom, which catches the light and gives you a better grip. From the embossed logo and the satisfying click when it closes, it looks and feels expensive. Which is exactly what you want when you pay £15 for it! The product itself is gorgeous! In the bullet it looks like a blackened cherry red, but when swatched or used on the lips it is a beautiful, vivid, burgundy shade with red undertones in some lights and more pink undertones in others. It is the perfect vampy lip and it is so easy to wear, from day to night. My camera has decided to pick up the pink tones in the following swatches. In real life, it looks a couple of shades darker. The formula is lovely, the lipstick glades onto the lip nicely and it does not budge! The lipstick lasts for around 6 hours before it leaves a nice stain on the lips. If you are eating and drinking, it wears off a little faster, but not that much quicker. It is the kind of lipstick you can throw on and not worry about all day. Applying the lipstick can be a little messy and after some research I have found that people have had similar problems with this shade. I believe the rest of the colours are less problematic. You definitely need to wear a lip liner with Shame, my clear Rimmel Lip Liner does the job nicely and you will need a q-tip soaked in Micellar water for a quick clean up job, post application. I have found that it wears better after blotting too. The formula is moisturising, and it doesn’t dry out your lips at all. 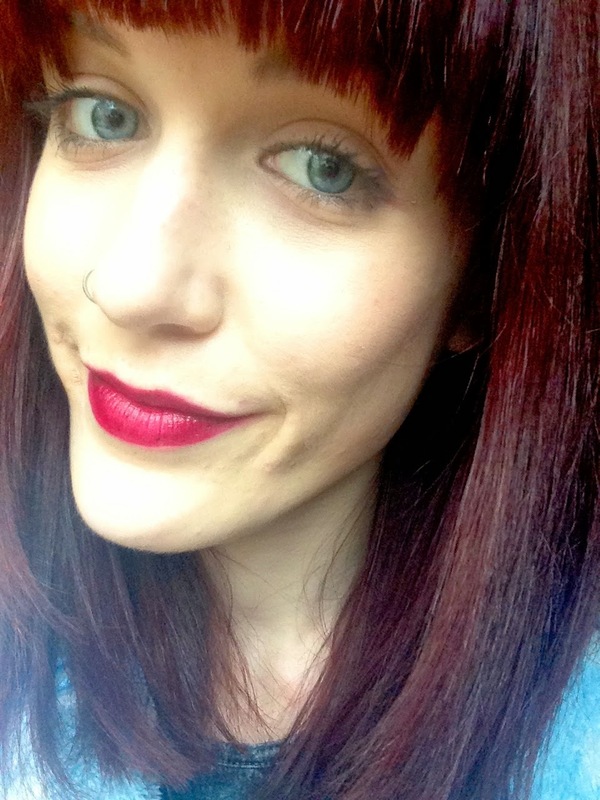 Comparison wise – it isn’t quite as moisturising as the Rimmel Moisture renew lipsticks, but it’s pretty close. However, it beats the Rimmel one hands down for staying power. One thing worth mentioning is that the colour will cling to any dry patches on your lips, this is due to the nature of the shade, rather than the lipstick itself. It is nothing a swipe of Vasaline won’t fix. This is an amazing lipstick, it is the perfect shade and formula. It’s just so me! I’m definitely going to check out the rest of the colours now. All in all I am super happy! Can you tell? Now that I am 22 I shall be singing this all year!